The 30-share BSE barometer, which had gained 461.42 points Wednesday, crashed 1,037.36 points to hit a low of 33,723.53. NEW DELHI: As the BSE benchmark index plummeted over 1,000 points during the morning trade Thursday, investor wealth got eroded by over Rs 3 lakh crore. The BSE benchmark Sensex Thursday crashed over 1,000 points to slip below the key 34,000-mark in early trade, tracking a global sell-off. Led by the sharp carnage in equities, the market capitalisation of BSE-listed companies slumped Rs 3,05,625.87 crore to Rs 1,35,59,695.82 crore in late morning trade. 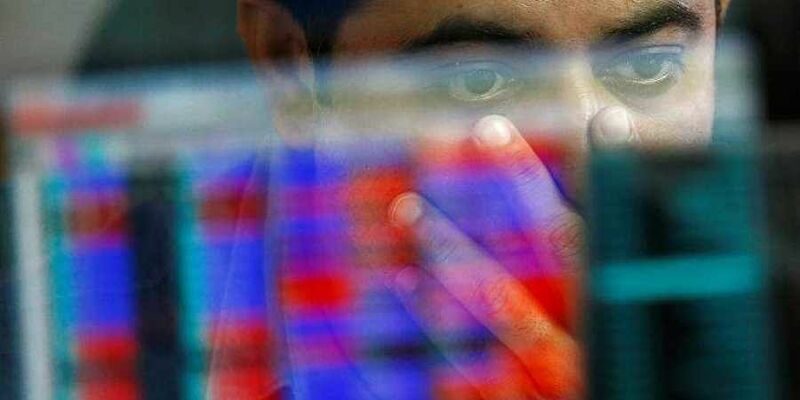 "Indian stock markets have fallen sharply Thursday. This is a continuation of the sharp fall we have witnessed in the stock prices over the last couple of weeks (except for one or two days of exception)." "While most of the earlier fall could be attributed largely to domestic factors - be it the IL&FS effect and fears of contagion thereon, or the ever increasing fuel prices due to the combined effect of weakening rupee and rising global crude prices etc., the reason for the fall this morning is clearly global," said Dheeraj Singh, Head of Investments- Taurus Asset Management Co Ltd. In the forex market, the rupee slumped by 24 paise to an all-time low of 74.45 against the dollar. Barring two scrips, rest 28 stocks from the BSE 30-share blue chip basket were trading with losses led by SBI and Tata Steel. Investor wealth had soared over Rs 3 lakh crore Wednesday as the stock market made a strong recovery, with the BSE benchmark index surging 461.42 points.